A long-awaited inter-regional connectivity aspiration of “bridging North-South Corridor’s missing link” through the South Caspian became a reality with the inauguration of railway of Kazakhstan-Turkmenistan-Iran by the Presidents of these Economic Cooperation Organisation (ECO) Member States on 3rd December 2014 in Inche Boroon (Iran) / Akyayla (Turkmenistan) border. A number of ministers, high dignitaries, ambassadors and high-level representatives of the ECO countries, ECO Secretary General Ambassador Shamil Aleskerov and international and regional organizations also attended the Event. A few days later President of Turkmenistan, Gurbanguly Berdimuhamedov, inaugurated the joint initiative of Turkmenistan and Energy Charter Secretariat and presented a comprehensive account of the Turkmenistan policy towards the security, reliability and stability of energy and energy transit, through cooperation with international organizations to explore the solutions for the challenges facing the more secure and stable energy transit. ?A delegation consisted of 37 diplomatic corps in Tehran comprising of ECO and non-ECO diplomats and high-ranking officials visited the Qazvin-Rasht segment of the Qazvin-Rasht-Astara (Iran)-Astara (Azerbaijan) Railway Construction Project on 17th November 2013. The Government of India initiated the idea for the project with the view to enhance trade relations between South Asia and Central Asia. The International North–South Transport Corridor will have its starting point from JNPT Port in Mumbai, and via transshipment the goods will reach Bandar Abbas Port (near Straits of Hormuz in the Persian Gulf) in Iran. Then a railway link connects Persian Gulf to the Caspian Sea region, Turkey and to North Europe via Russia. The South Caspian Region Transportation “Silk Road” provides the South Asia in the near future with no need of transshipment for trade. Because, construction of new railway, establishment of new airways, and road transportation, links between east and west connecting the Caucuses, Central Asia through Iran, Pakistan, Turkey, and Afghanistan will be connected to North Europe. Thus, commerce and tourism opportunities will elucidate a win- wins trade situation for all countries.
? ?Connecting the east and west across Central Asia, as a transit for not only silk and other precious goods, but technology, religious beliefs and great armies, the Silk Road has been an important historical region for millennia, from the time of Genghis Khan and Tamerlane to the spies and agents of the Great Game in the 19th century. There are actually numerous 'Silk Roads' through Istanbul in the west, to Caucuses, Iran and Xian in the east, but generally the route travels through Turkey and Iran to the Stans of Central Asia and through western China to Xian. The Qazvin-Rasht- Astara (Iran)-Astara (the R. Azerbaijan) Railway Project is progressing in three parts. Part one: Qazvinn-Rasht and part two: Rasht-Astara with a total length of about 369 km are located in Iran, and the part three (less than 10 km) is located in the Republic of Azerbaijan. The Qazvin-Rasht–Anzali route (205 km long) starts at Siah Chesemeh rail station 15 km southwest Qazvin and reaches Rasht and Anzali via the towns of Lowshon, Manjl, Roadbar, and Emamzadeh Hashem. About 165 km of the route is single track and 40 km double track. It is a complicated route, as 40% of it is on plains, 10% hills, and 50% mountains. The railway in this route is designed for a maximum speed of 160 km/h for passenger trains and 120 km/h for freight trains. Totally 62 large bridges, with an overall length of about 9 kilometers (excluding aqua-ducts and small bridges) and 53 tunnels, with a total length of 22 kilometers are envisaged for this route. The Rasht-Astara route, with a total length of 164 km, begins at Rasht station and passes the towns of Rezvanshar and Hashtpar to reach Astara (Iran)-Astara (Azerbaijan) border. The terrain on this route is mainly lush agricultural plains intermediating the mountains and the Caspian Sea. Azerbaijani officials repeatedly have announced that with the completion of the remaining sectors on this route, the seamless flow of cargo by rail along the North-South corridor will be made possible not only for ECO countries but also for the countries of South Asia and Northern Europe through Bandar Abbas-Baku-Moscow-Helsinki rail way routes. 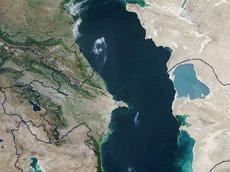 The Eco-Caspian Energy Grid: ?? The New Silk Road translates into an energy corridor - the ECO-Caspian Energy Grid - in which the Caspian Sea is an essential hub, linked to the Persian Gulf, from where oil, and petroleum products are to be transported to Asia. And as far as gas is concerned, the interconnection of gas pipelines and power systems (gas to power) between Iran, Turkey, Central Asia and the Caucuses is a direct link between Iran, China and South Asia. Located in the north of the Caspian Sea the Kashagan field which was discovered in 1999 is still the largest oil field discovered during past decades with an estimated reserves of about five billion metric tons of oil, which may amounts to 38-40 billion barrels, some 10-12 billion out of them are said to be recoverable reserves. There are over one trillion cubic meters of natural gas reserves at the Kashagan field too. The production at the Kashagan field started in September 2013, but in October of the same year it was halted due to a gas leak in one of the main pipelines. With expectation of Kashagan petroleum production to resume during 2015-2016 and the current low oil prices analyst are of the view that Iran is the most economically viable and environmentally safe route for its oil to get to international market. Pirouz Mousavi Managing Director of Iranian Oil Terminals Company (IOTC) affiliated to National Iranian Oil Company (NIOC) in an interview has said that the Iranian port of Neka in the Southern Caspian region is now fully prepared and ready to receive petroleum produced in the region. More than ten years ago the French major Total signed MOU with Iran to study export route for at least part of the crude from Kazakhstan's Kashagan field to Iran. A part from that many executives in the Kashagan consortium favor Iran route in the Southern Caspian region as it transports and delivers oil into the Persian Gulf. A non-Iranian option would entail transiting the congested and delay-prone Bosphorus straits. "We don't want to put all our share (of production) in one direction, we would like to have the option to choose between several ones the Baku-Tblisi-Ceyhan Pipeline (BTC) for sure, the Caspian Pipeline Consortium's pipeline (CPC) too, but we do not want to be locked into one option," a TOTAL Vice President had said to the press. 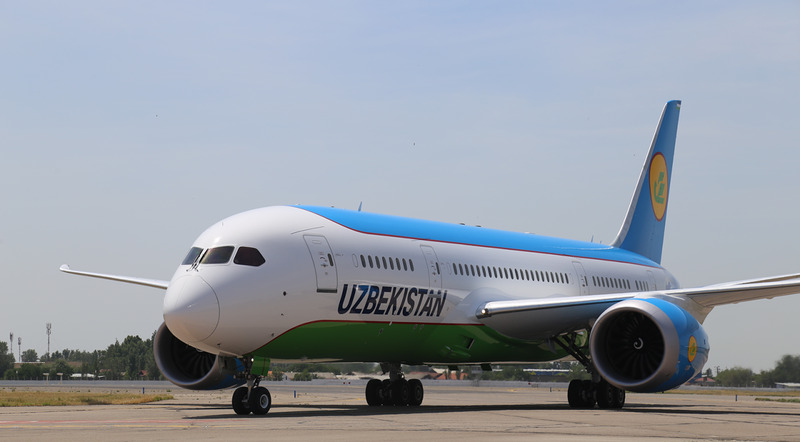 He had added that apart from Kashagan, Total also hopes to have production from other Caspian projects, notably Kurmangazy, a field with estimated reserves of a billion tons of oil, to be developed jointly by Kazakhstan and others.